DE BVM Aeropoxy is een hoogwwardige twee componenten Epoxy lijm uit de grote luchtvaart en is de sterkste lijm in zijn soort en heeft een zeer hoge aanhechting op andere materialen . Het is zeer goed te bebruiken om houten spanten in een epoxy of polyester romp te lijmen ,aan plastic , aluminium en staal. Het is thixotropic , wat wil zeggen het blijft op zijn plaats waar het is aangebracht , loopt niet weg , zoals ander epoxy lijmen wel doen. Het is een slow cure lijm , dus een langere bewerkings tijd , hard langzaam uit , wit van kleur en na uit harding goed te schuren. 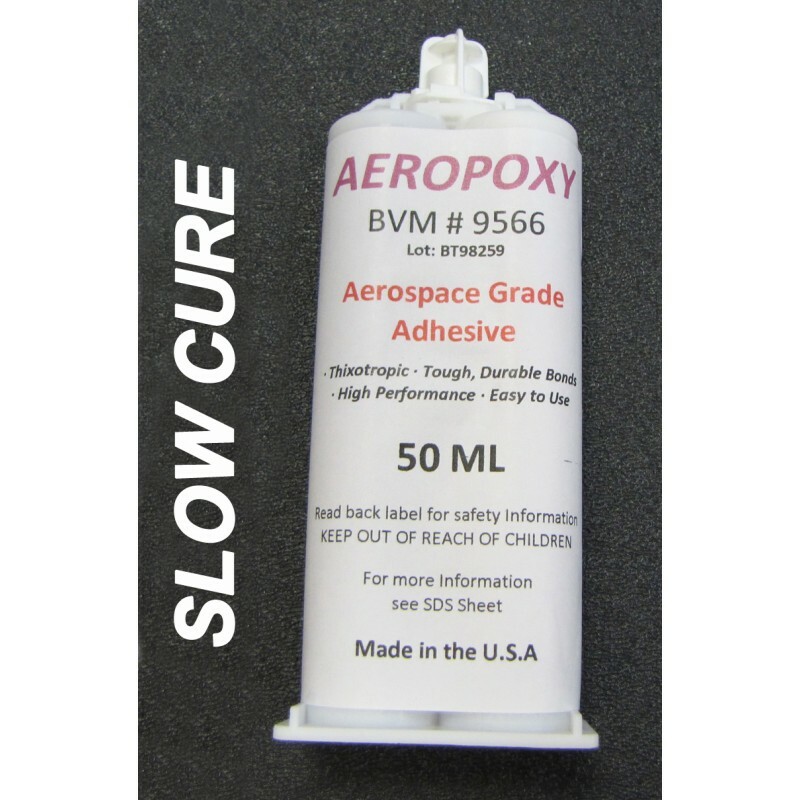 The ever increasing aerodynamic stresses we expect our models to endure calls for for an Aerospace Grade adhesive product, and "Aeropoxy" is it. Aeropoxy is a thixotropic, slow cure, Aerospace Grade, 2-part epoxy system. It is the strongest and best gripping adhesive for all types of composite material bonding to other materials such as wood, plastic, and aluminum. AeroPoxy is thixotropic - that means that it stays where you put it. It won't run down and puddle at the bottom of your fuselage. 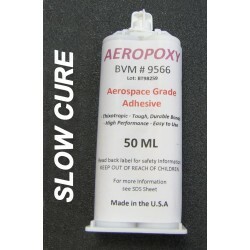 AeroPoxy is white - a great color for glue. You can see how much you have applied and it will cover easily with paint. AeroPoxy can be sanded, although you would rarely get it on an outside surface. What AeroPoxy won't do easily is chip off. If you've been a bit messy with it, wipe the excess off before it cures. AeroPoxy's holding strength to composites such as fiberglass and carbon fiber is due to its formulation and long cure time. We have learned to schedule major gluing sessions at day's end to allow an overnight set. You can tack glue with Zap-a-Gap and apply AeroPoxy when you have time to set the assembly aside. It is still best to glue molded nylon (carbon or glass filled) parts such as hatch latches or door hinges to fiberglass with Zap-a-Gap and then apply AeroPoxy to the perimeter of the part to form a mechanical "trap."